Worthy was born in and currently lives in Victoria, British Columbia, Canada and goes to Claremont Secondary School - commuting to auditions and for work in the film and TV industry. He decided that he wanted to become an actor at the age of four, after watching Macaulay Culkin in Home Alone. A triple threat, he started training in voice and dance and began performing in theatrical plays and musicals, at the age of 5. When he was 9 he was accepted into the Tarlington Training professional children's program in Vancouver, British Columbia, where he studied for 3 years. He made his screen debut as a guest star in Fox's Night Visions (directed by Bill Pullman). At the age of 10 he booked his first leading role, starring in the BBC mini-series I Was A Rat with Brenda Fricker and Tom Conti. In 2003, he worked on the six episode HBO mini-series Out of Order, playing a young Eric Stoltz. Later that year, he booked a lead in the comedy National Lampoon's Thanksgiving Family Reunion for which he won a 2004 Young Artist Award for "Best Performance by a Leading Young Actor in a Television Production". He also was nominated for another Young Artist Award in 2006 for "Best Performance in a Short Film" for the short film When Jesse Was Born. In 2004, he landed a recurring role in the ABC TV series The Days and made a guest appearance on Stargate Atlantis. In 2005, Worthy worked on the third in installment of the Dr. Dolittle series, Dr. Dolittle 3 and booked a recurring role on the Fox television show Reunion. In 2006, he guest-starred on Kyle XY, Psych, the TV-movie Cross Roads: The Story of Forgiveness, The Last Mimzy and Deck The Halls. In 2007, he returned to the television show Psych as a different character, worked on the feature Mulligans, the tv-movie Second Sight, and the short film Smile (directed by Julia Kwan). In 2008, Worthy worked on the TV movie Living Out Loud, a short film entitled Valentine, guest-starred on the hit CW series Supernatural, and was in Australia, filming a new television series called Stormworld which he starred in. 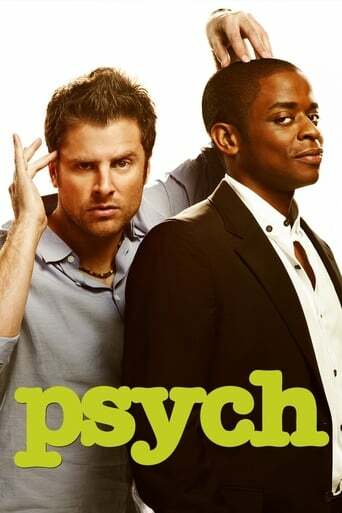 He was also nominated for a 2008 Young Artist Award for "Best Recurring Role in a Television Series" in Psych. In 2009, he has guest-starred on the hit CW series Smallville episode "Legion", as the superhero Lightning Lad. This episode aired on January 15, 2009, the first new episode of the series for the new season. He also guest starred on the hit CBS/CTV cop-drama Flashpoint, filmed a pilot for the Cartoon Network called Prepped, and filmed a TV Movie for Nickelodeon called The Best Player. In 2010, Calum is working on a feature film called Daydream Nation, with Kat Dennings, Josh Lucas, and Andie Macdowell, as well as working on the new Battlestar Gallatica spin-off, Caprica.